DIANA ABDUL MOLOK: LIFE 'N EVERYTHING ELSE: The latest addition to the family! The latest addition to the family! Before any further comments by friends, no, this is not mine! But he's mine as much as Nisa and Aleeya are, because he's my first nephew after the two nieces. 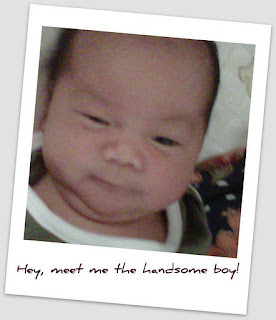 The first boy in the family after three girls, the one long awaited for by his AKI (My dad). Syaiful Iskandar (if that is the name Along-my brother-finally decided to register. Gotta check with him later) was born on Weddnesday, 5th October 2011. He was born by c-sec, because the last two of my sister in law's were also c-sec'd. Had jaundice measuring 300 at the of three days which was high and was only discharge last Sunday, the 9th. We were all excited to meet him because visitors were not allowed to see him when he was in the hospital! I got to bathe him when he came home, and it was the first time I bathe a newborn at such early days (I only bathe Amani after the 44th day. Too scared to do it!). Welcome again, Syaiful Iskandar Bin Syaiful Bakhtiar! 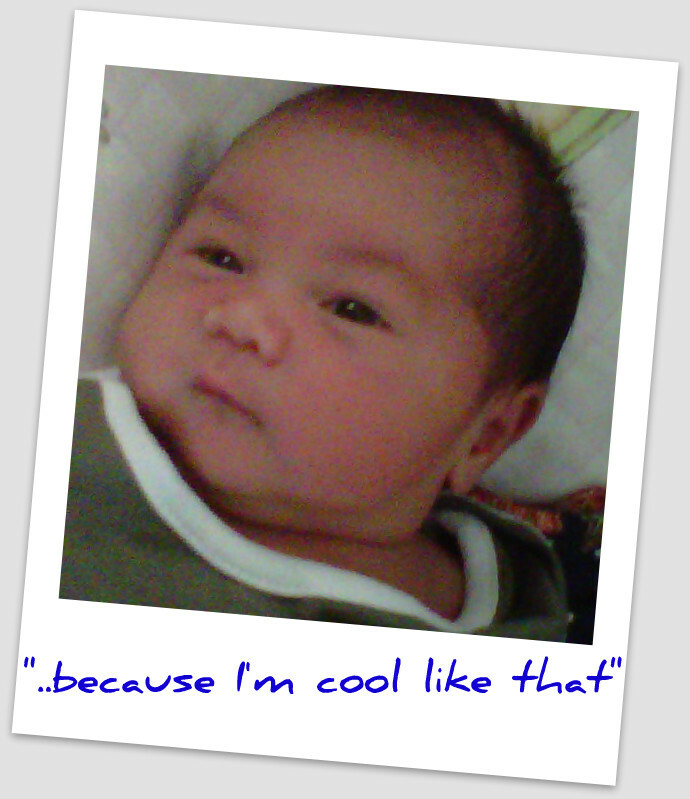 Edit: His name is Syaiful Azwar ya! The parents decided to go back to the first name they chose. After much contemplating, because Azwar is a common girl's name - but there are boys named Azwar (means glorious) too!